The VTO Studio Lite is a web application made by Jeeliz. 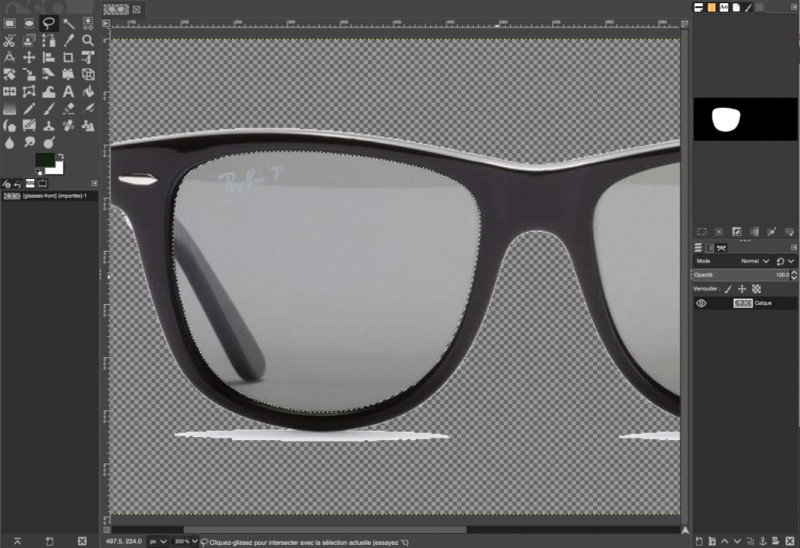 Anyone can build a glasses virtual try-on (VTO) experience in minutes! 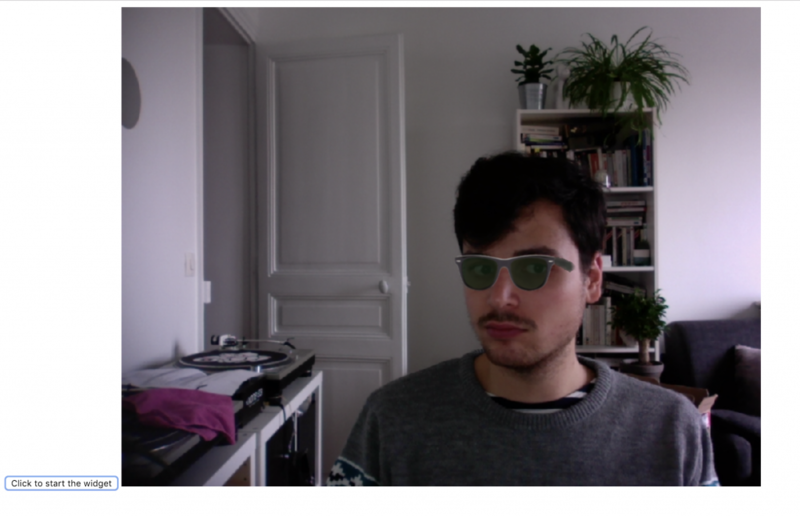 You can access to this amazing web application here: jeeliz.com/demos/glasses-studio. It requires 1366 pixels wide or above screen and a desktop computer. The VTO widget built won’t have these restrictions, it will even work on mobile devices. You can also watch a screenshot video of the application on our Youtube channel: https://www.youtube.com/watch?v=BwU3O05yx2A. In this tutorial, we’ll see together how to create our widget and add it to a website, from start to end. We’ll firstly learn how to modify our pictures with Gimp (free image manipulation software). Then we’ll learn how to use the VTO Studio to create our widget. And lastly, we’ll learn how to add our widget to our website. Let’s start! 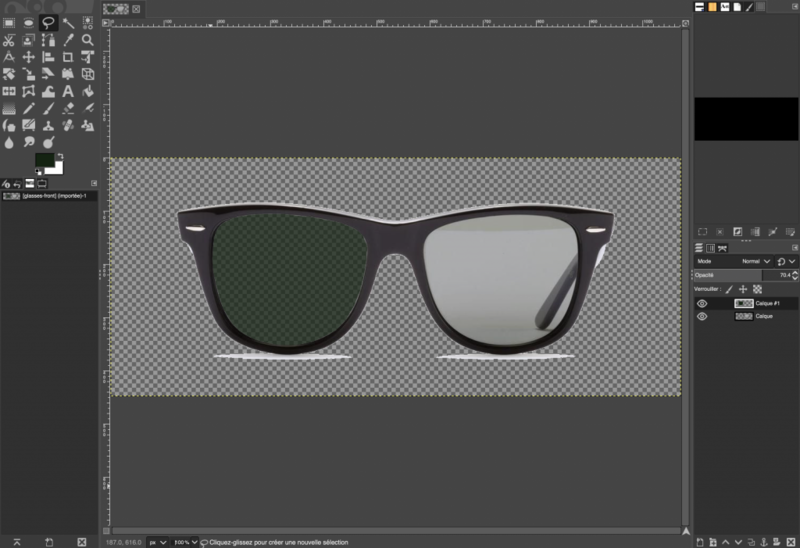 We begin by selecting the pictures for our glasses 3D model. 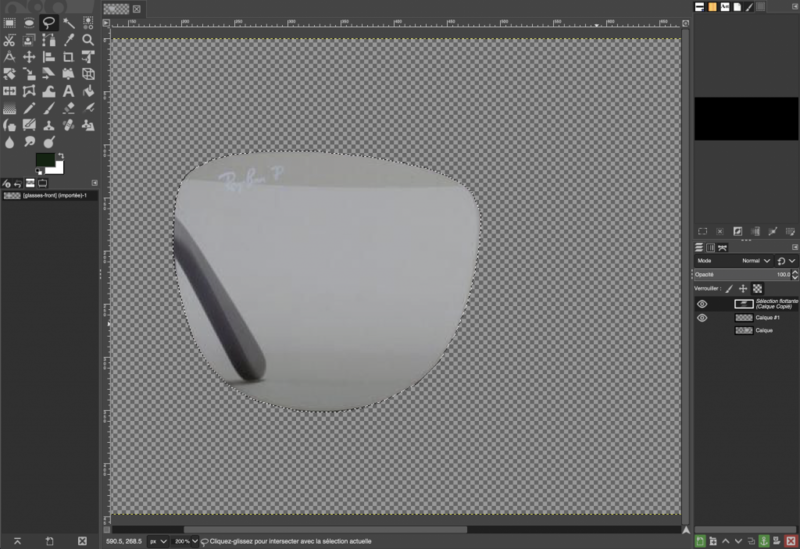 First we need to grasp how the VTO Studio works. In the picture below we can see how the 3D model where we apply our pictures as textures is built. It has three faces, two for the sides and one for the front. Now we select pictures working well in that configuration. 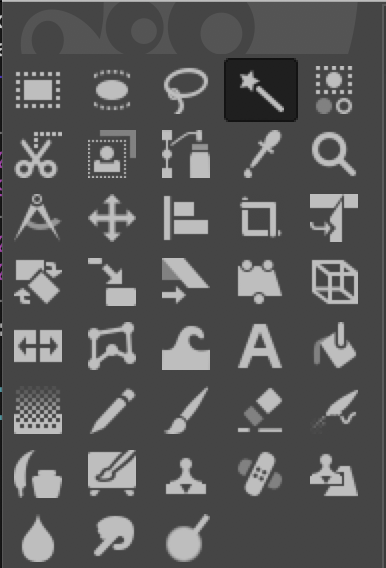 Then we create a new layer on the bottom right side of Gimp and cut/paste the selection. 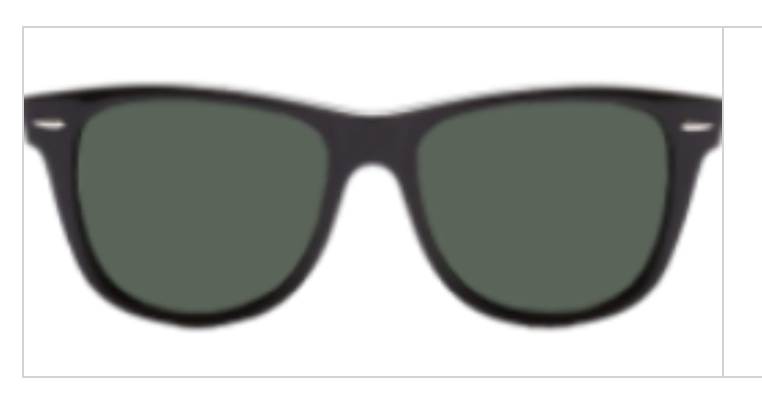 We pick a rather dark color for the lenses since we will lower the opacity later. This dark green should fit. 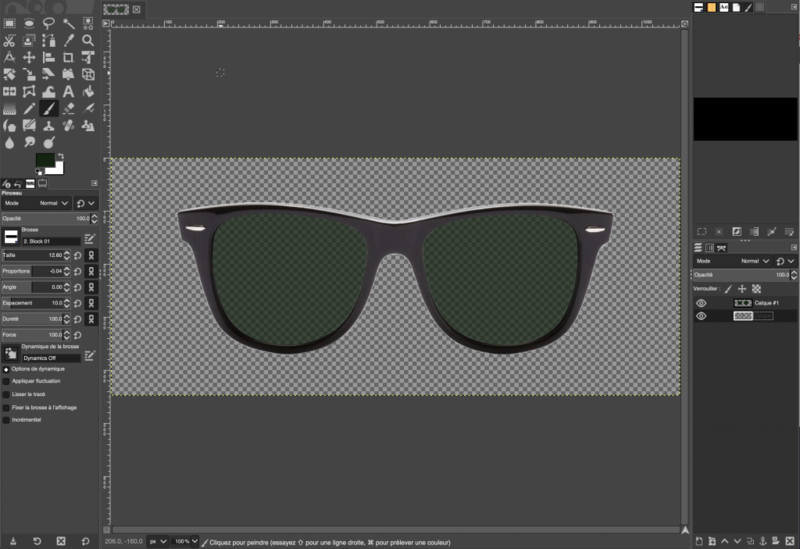 We now have our front texture ready! Let’s do the side part. We clean the logo from the branch using the brush and the airbrush tool. Let’s export both pictures. Great! 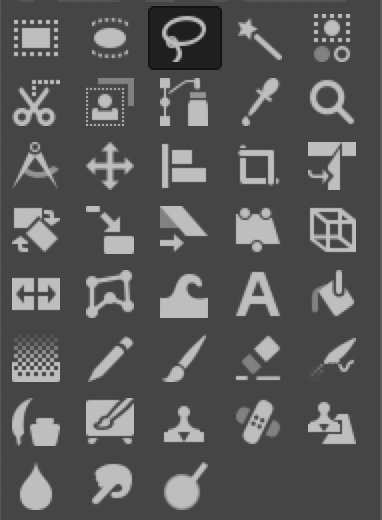 We now have our textures ready, we can start building our VTO widget with the VTO Studio. 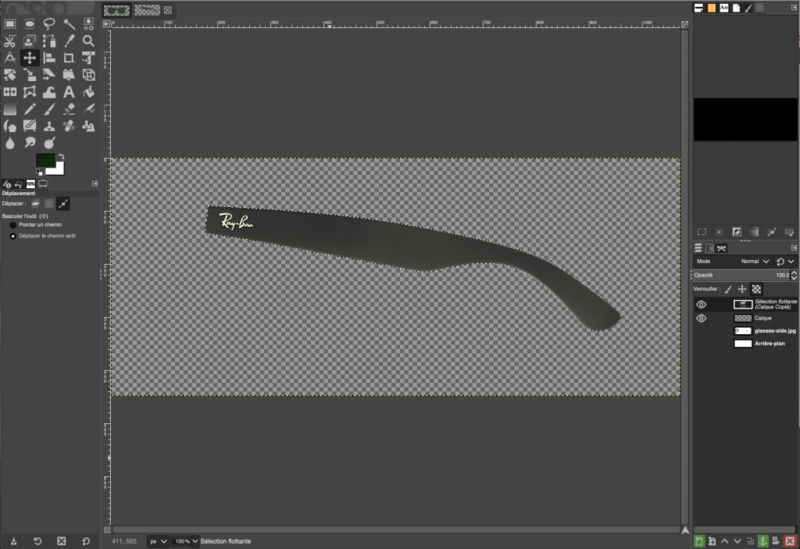 For the branch texture, we want to have a size matching the size of the front part of the glasses. 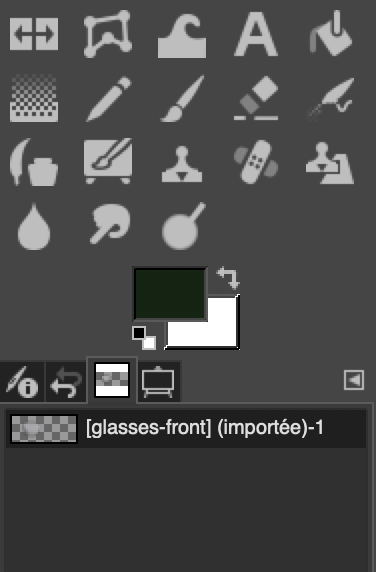 Also we want the start of the branch to touch the left border of the canvas, so that both textures bind seamlessly on the 3D model. 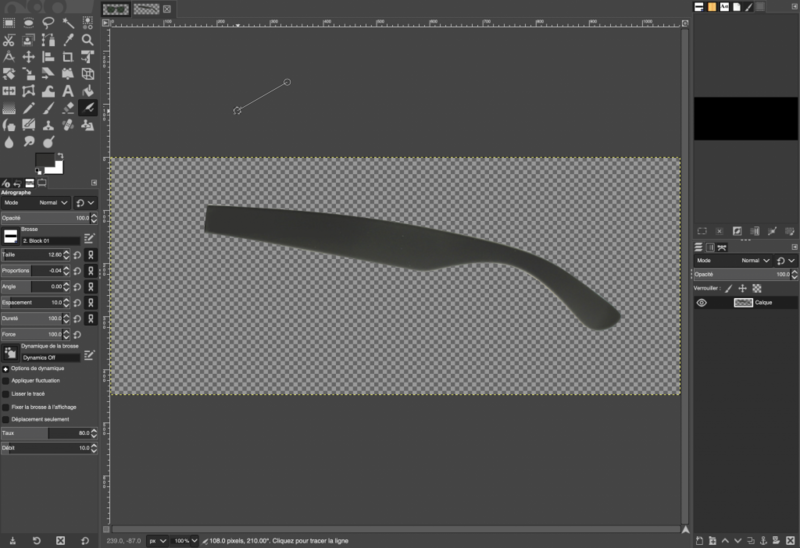 We can now set up the branch split and the curve of the glasses. The branch split affects how wide the angles that the branches make with the front part are. We want to set it to approximately 30%. 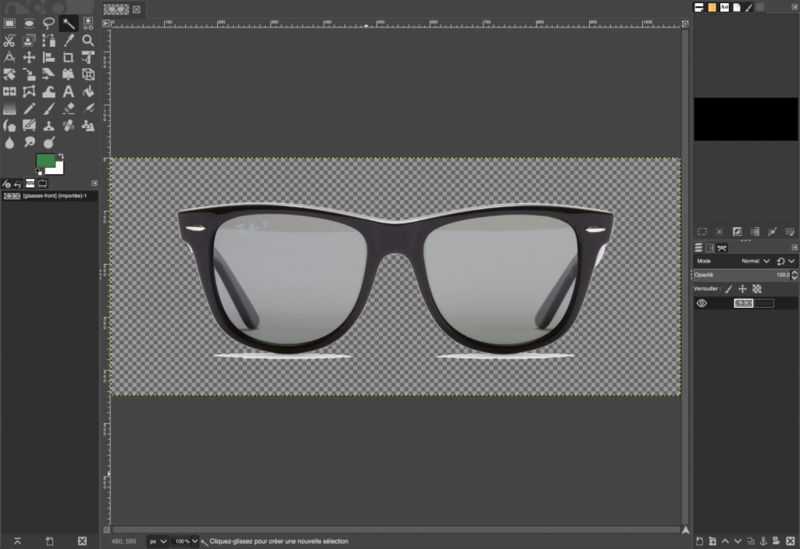 The curve of the glasses can be useful for some glasses models, typically the sport glasses.These models have a slight curve at the junction point between the front part and the branches. We won’t need to use it for this model; let’s leave it at 0%. Alright our glasses look good! Let’s add our widget to our website. When everything is ready, we hit the “Export your widget” button. A script is generated and we get to choose how we want to link it in our index.html file. The first option is to use the CDN link provided. Otherwise we can download the file and add it as a local source. And tadaa! Our widget is displayed!